Junior Solar Sprint from Technology Student Association on Vimeo. Junior Solar Sprint is a program of the Army Educational Outreach Program (AEOP) and an official TSA middle school competition where students design, build, and race solar electric vehicles. TSA administers the Junior Solar Sprint with a grant awarded by the United States Army Educational Outreach Program (AEOP). In addition to an online resource center for Junior Solar Sprint for educators, JSS is official TSA middle school event. Learn more about the AEOP at http://www.youtube.com/watch?v=SB30XYFq96A. 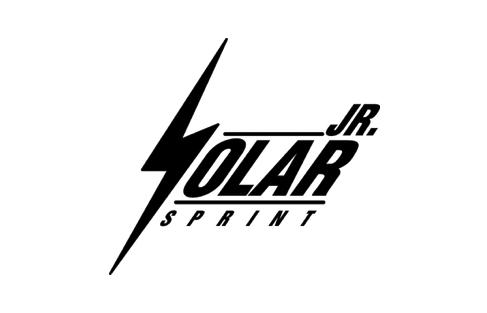 The online resources for Junior Solar Sprint includes educational materials, supplementary instructional videos, connections to outside resources, and ‘how to’ guides to implement curriculum and races – everything needed for a teacher or mentor to bring Junior Solar Sprint to youth in their community. Students competing in Junior Solar Sprint at their state TSA conference are required to register through the online AEOP registration tool. Students can fill out the registration on their own but will need a parent/legal guardian’s digital signature on the “Additional Information” page of the registration. Parents/legal guardians are allowed to fill out the registration on their student’s behalf, but should keep in mind that responses should reflect the student’s information, not their own. For example, the student’s birth date should be entered in the “Date of Birth” field, not the parent’s date of birth. Visit http://www.cvent.com/d/c5qbcc to register. Teacher with students participating in JSS, are also required to register through the online AEOP registration tool (http://www.cvent.com/d/c5qbcc). Participant’s feedback is very important to both TSA and the AEOP and will help improve the JSS program in the future. Please contact Sue King at sking@tsaweb.org for more information.